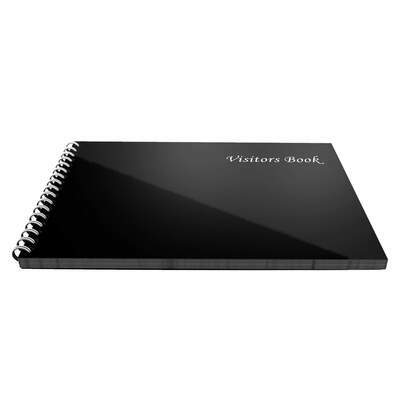 Our Visitors Record Book has been designed specifically for nurseries, offices and care homes. With its double spiral bound, it is a highly durable option that offers additional security with the high gloss plastic cover. It can be wiped clean and ensures that all information logged within is kept safe and protected at all times. The pages are printed with dedicated sections to record such information as names, times, contact details and car registrations for future reference or in the case of an emergency. Supplied with 50 pages, it offers exceptional economy and is ideal for conforming to both fire and emergency regulations. Spiral bound and covered with a high-gloss plastic outer film. Here at Gompels, we stock a range of effective log books that ensure your business always has access to the information it needs. This includes our Controlled Drug Record Book which ensures that every health professional is aware of the prescription drugs administered to each resident or patient.